Udhiyah (Arabic: أضحية), commonly known as Qurbani (Arabic: قربانى‎‎) is an animal sacrifice that is normally made on the 10th of Dhul Hijjah. It is obligatory upon every Muslim who is sane, mature, has enough wealth upon which Zakah becomes necessary and is not a Musafir. 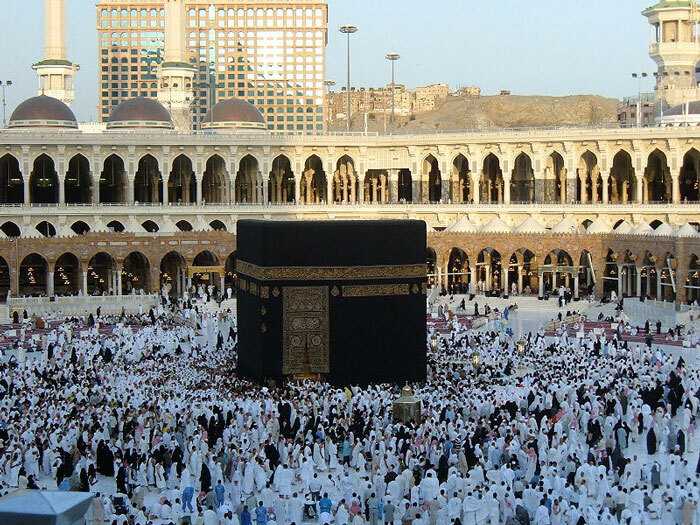 There is a difference of opinion among scholars concerning the ruling of Udhiyah for Hajj pilgrims. According to the Hanafi Madhhab, Udhiyah is only obligatory for residents of Makkah i.e. the Muqim. It is not obligatory for the pilgrim who is a Musafir. According to the other schools of thought, Udhiyah is not obligatory in either case but regarded as Mustahabb. Udhiyah can be carried out anywhere in the world and can be arranged prior to leaving home. Udhiyah coupons can also be purchased from kiosks in Makkah and Mina or from al-Rajhi Bank located in Makkah Hilton Towers.